Virtual machines provide an additional layer of flexibility and scalability over traditional servers. 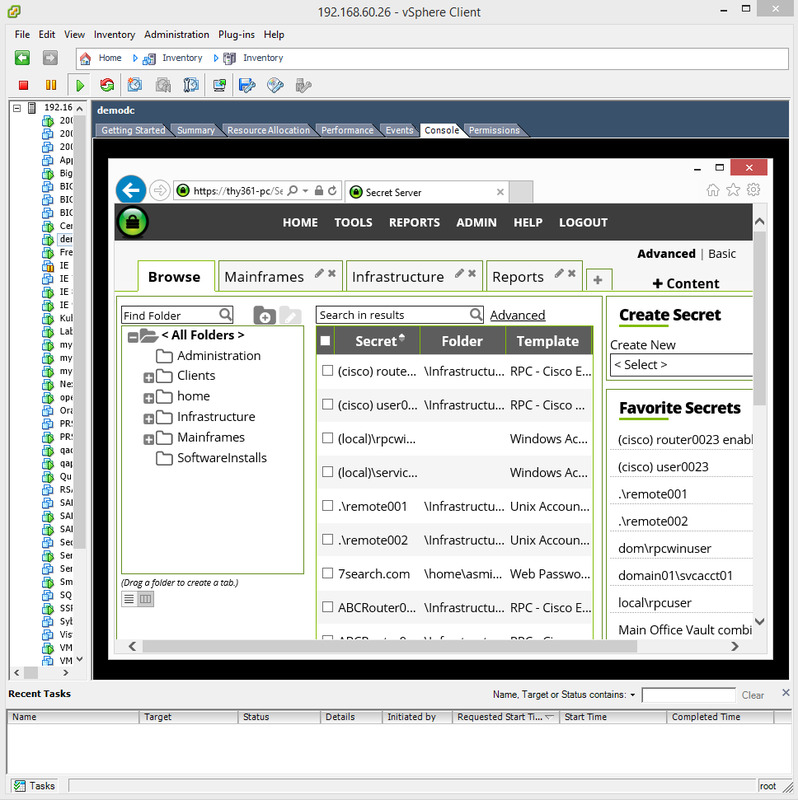 Install Secret Server password management software on a Virtual Machine such as VMWare using the exact same process as a standard server installation, which is documented in the Installation Guide. Secret Server has been tested on VMWare, Virtual PC, and VirtualBox virtual machines. Try Secret Server FREE for 30 days by completing the form on the right. It comes with full support and is the easiest password management software to implement and use!